Sometimes places are hard to find and sometimes we just stumble across them by accident. But there is nothing accidental about the process involved in finding and successfully stepping up to your bigger game. 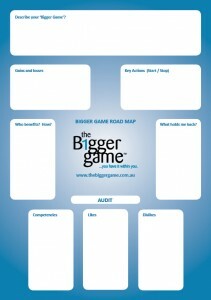 The Bigger Game Roadmap has been carefully designed to guide you through the process of identifying your bigger game potential and discovering crucial steps on the journey. The roadmap tool on its own may be enough to define and put you on the right pathway to your bigger game. If you need some help then don’t hesitate to get in touch, remember a coffee is all it takes to get the conversation started. 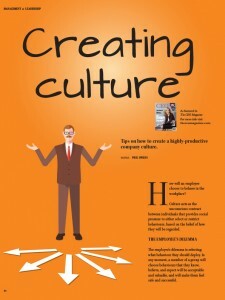 Featured Article in CEO Magazine on ‘Creating Culture’. Featured Radio Interview on ‘Stress’. Radio interview with Mandy Page on 15/04/2016 for the Southern Cross Austereo Network about ‘Stress’. Featured Radio Interview on ‘The Paris terror attacks and the Australain psyche’. Radio interview with Anthony Till on 16/11/2015 for the Southern Cross Austereo Network regarding the potential impact of the recent Paris terror attacks on the Australain psyche despite us being a long way away. 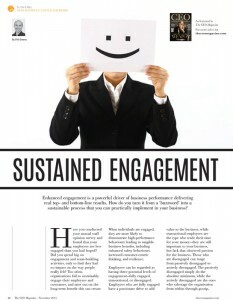 Featured Article on ‘Sustained Engagement’. Featured Radio Interview on ‘The behaviour of Trust’. Radio interview with Anthony Till on 6/10/2015 for the Southern Cross Austereo Network regarding Trust as a behaviour in the workplace. 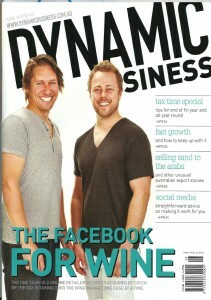 Featured Article on ‘Leading Change’. 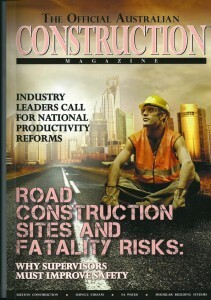 Featured Article on Productivity Vacuums and increasing efficiency. Finding your red ocean niche. A pocket full of change. Working with businesses all over the world, one of the biggest ‘common’ challenges of an organisation is how and when to change. 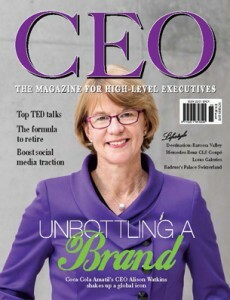 As I outlined in a recent article in CEO magazine, change is a challenge, and we can either lead change because we are adapting ahead of the market, or we can change in an attempt to keep up. 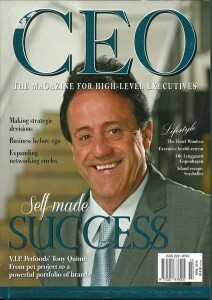 Considering the knowledge and influence psychologists hold over people, The CEO Magazine thought it would be invaluable to adopt a business framework and apply it to the complex world of psychology.